Until recently, a better means to identify enclaves of a rogue’s gallery of so-called neglected tropical diseases—such as leprosy, river blindness, roundworms, elephantiasis, African sleeping sickness, and trachoma—has proved elusive. 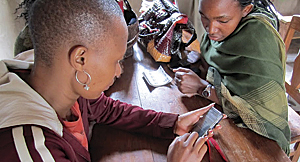 According to Haddad, the Esri technology-enhanced system was built on one already developed for a variety of neglected tropical diseases, including trachoma. It relied on Android devices, which made it easy for field-workers to use. A robust reporting back end allowed data to be sent via cellular network or Wi-Fi to a web-based system at Task Force’s headquarters. It didn’t take long for this approach to achieve surprising results—transmitting data from 18 countries on elephantiasis. “Before we used the Android tools, we had piles of paper that had to be manually entered after a survey,” recalls Haddad. Initial success encouraged public health workers in endemic countries to realize that a system such as this—but even more capable—was needed to reach WHO’s ambitious GET2020 goal. 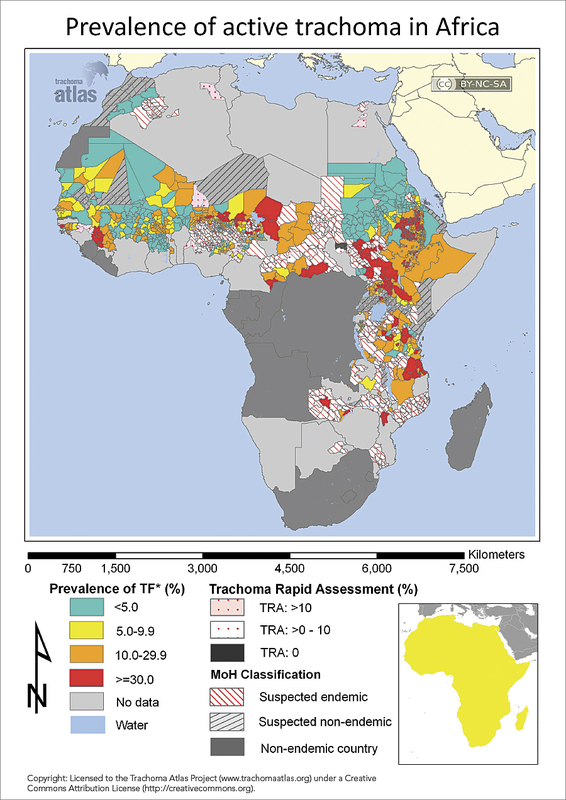 Global Atlas of Trachoma—developed in 2011 by ITI with the support of partners, such as the Bill & Melinda Gates Foundation, Carter Center, and London School of Hygiene & Tropical Medicine—provided up-to-date regional maps of trachoma’s geographic distribution. This tool allows health workers to reach more people with preventive hygiene, corrective surgery, and an antibiotic—azithromycin (Zithromax)—donated by pharmaceutical manufacturer Pfizer Inc. 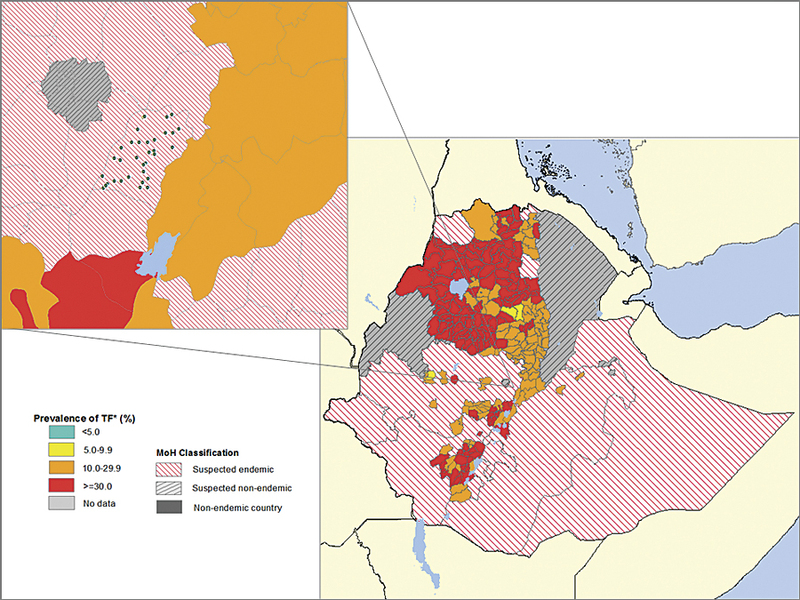 Nevertheless, researchers discovered that the database supporting the atlas identified more than 1,200 health districts that still lacked the data needed to guide interventions. “We still didn’t have the entire picture,” says Rebecca Mann, geographic information systems data manager, ITI. “Because the system is so simple, it isn’t necessary to train a highly specialized team,” Mann says. “Python script ran at 2:00 a.m. every morning, converting the data into feature points, which I personally added to the first mapping template,” Mann notes. And as more data came in, the system automatically updated the website.